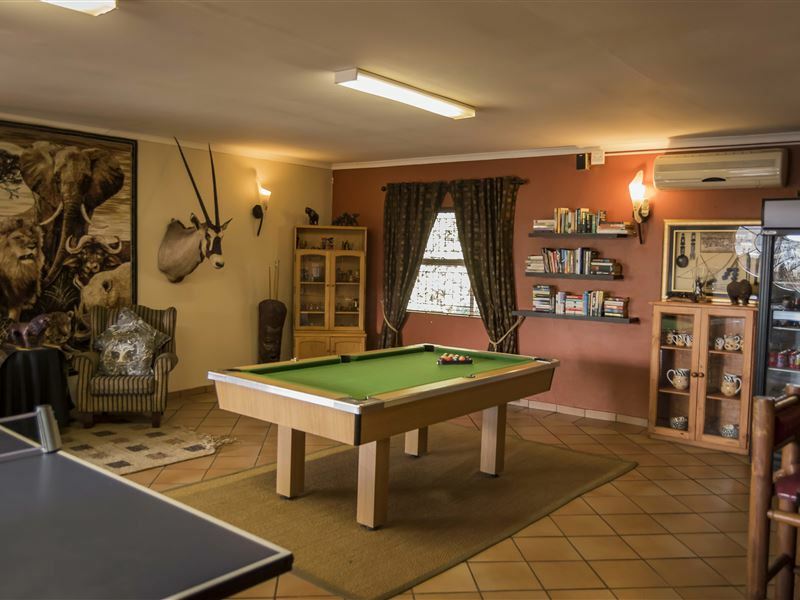 The Big 5 Guest House offers high standards and warm hospitality for the private- and corporate market, situated in Witbank. 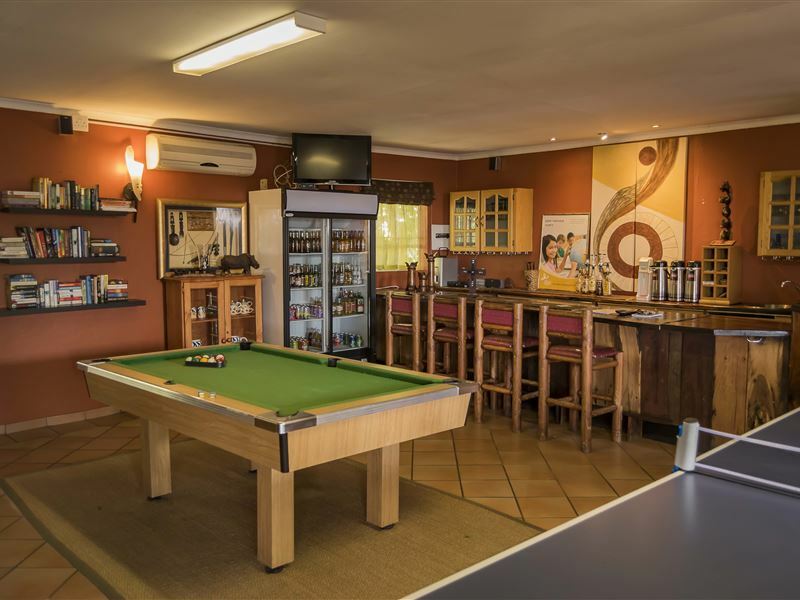 The guest house is close to all amenities such as restaurants, shopping malls, banks and a casino. There is a variety of room configurations available. 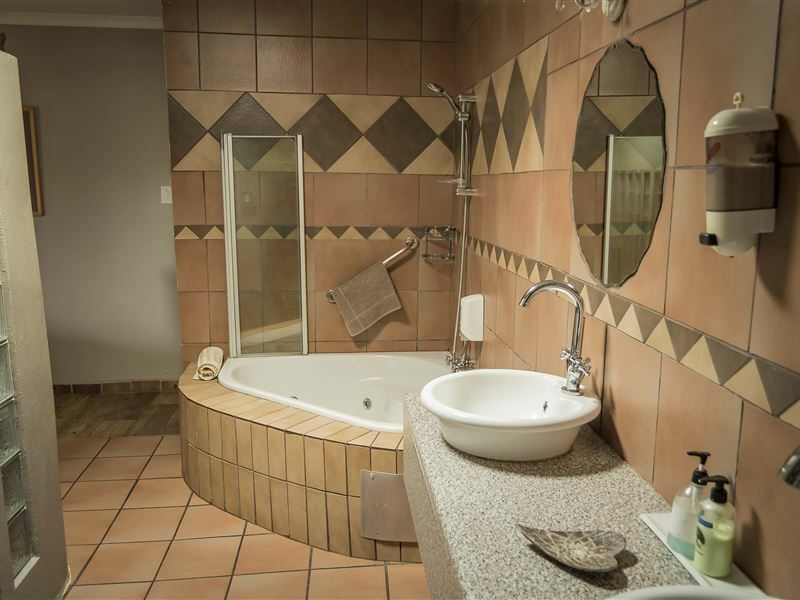 All the rooms are equipped with wireless Internet access, hair dryers, tea and coffee facilities with rusks, fans and heaters, TVs with selected DStv channels and radio clocks. The rooms have safety boxes, except the Budget Rooms. 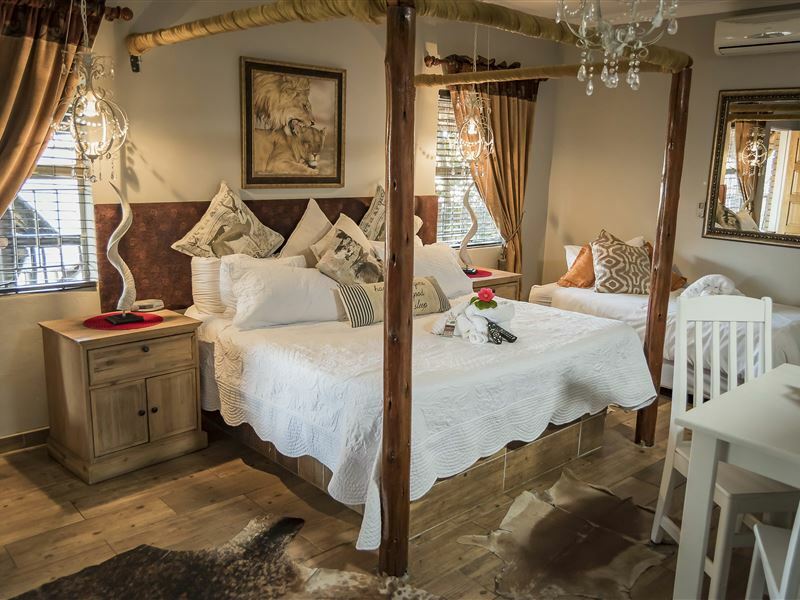 There is an African theme throughout the guest house, with a restful ambience which provides a welcoming retreat for business travellers. Feel free to enjoy our private swimming pool, as well as our lush garden. Stayed two nights, Guest House situated in a beautiful quite suburb. Excellent service , well maintained, clean and tranquil with good rooms and excellent food. Enjoyed my stay. Absolutely wonderfull place to charge your batteries. Excellent Guesthouse. Clean, neat, modern look. Staff are very friendly and helpful. The food, although you cannot choose from a menu, is awesome and the portions are more than enough that even the hungriest of men would be satisfied. The best place to be away from home. No regrets and the receptionist is the friendliest. It is a lovely place to be. Nice food , clean rooms with an additional place for functions. ( Anellis Tea Garden) . Have been working here for almost 7 years. High 5 to big 5 guest house. Keep up the good work. I spent two night here with my girlfriend on our 1 year anniversary, the food was amazing, the staff was polite and the owners are accessible on the property; whom I might add are very polite.We swam in the pool, it was nice, we walked around the array of scenery and when checking in, we were helped quickly, conveniently and allocated our room before we even knew it. The service is good and efficient. There's a little coffee shop on site with the most beautiful plants and environment. I'd definitely go back there. "Big 5 Guest House is Great Value"
Very nice place to stay. Rooms were comfortable and clean. TV, small fridge and hairdryer provided in room. The staff were friendly and accommodating. Space for parking. The guest house is centrally located in a nice, quiet neighbourhood. We purchased the evening dinner and it was delicious. The day we arrived there was a power outage but Big 5 had a generator so all the rooms had power. I recommend staying here. 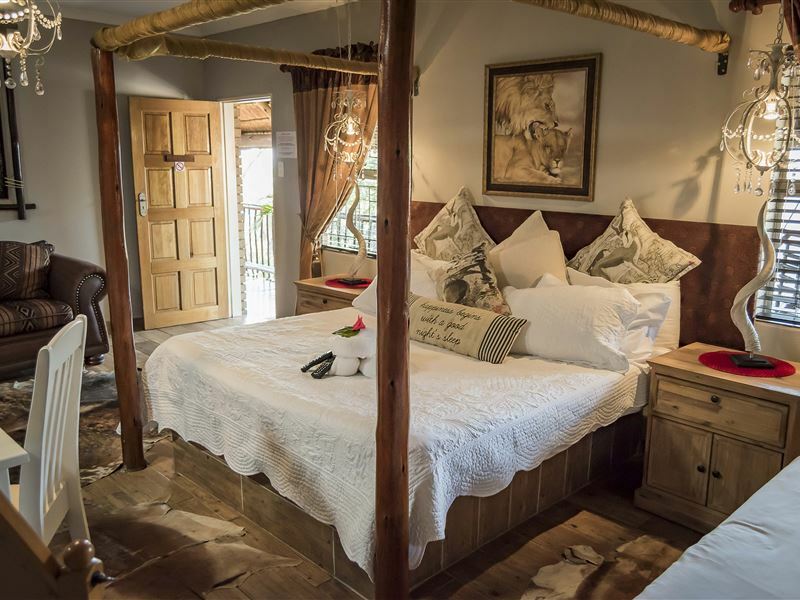 We stayed at the Big5 Guest house whilst visiting family and friends. The room was tastefully decorated and very clean with everything we needed from hairdryer to fridge. Our cleaner did a fabulous job every day. I would most certainly recommend you all my friends and we will be coming to stay again when we next visit. Request a quote from Big5 Guest House at no obligation.